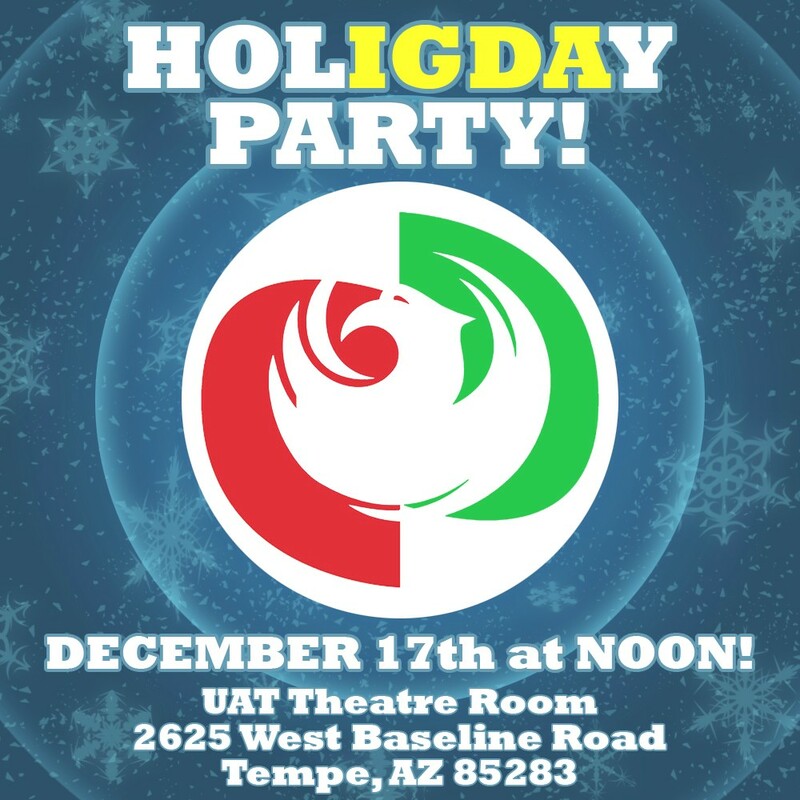 Celebrate the Holidays with IGDA! Noon – 5:00 PM at University of Advancing Technology (UAT)! This year we’re in UAT’s Little Theater, which means we’ll have the BIG SCREEN available to us to… you guessed it… PLAY GAMES! Feel free to bring in your creations or projects-in-progress and we’ll put ’em up on the projector, super show-and-tell style! (Keep in mind the screen’s resolution size is 1024×768.) We’ll also have some board games for my fellow board game geeks (and again, feel free to bring your own)! It’ll be a fun time for all, so we hope you can all join us! ALSO, I wanted to extend a quick thanks to everyone who has helped us out so far by taking our location survey. We’ve come up with a couple of leads for new potential meeting ‘homes’, and we’ve gotten a lot of insight in general on what people want to see moving forward into the new year. Happy Holidays, everyone! Have fun, be safe, and hope to see you all on the 17th!